It wouldn’t be too much of a stretch to say that having a braai in South Africa is somewhat of a ritual. An occasion that is almost sacred in the way that it brings people together and guarantees a good time for all. Now when it comes to food prep, your task is rather straightforward: all you have to do is pick up products from our delicious Woody’s Smoked Braai Range. As with all Woody’s quality products, the braai range features a selection of premium meats that are sow crate-friendly, beechwood smoked and MSG-free. If you want some inspiration for how to use our premium products, have a look at these 4 Sensational Summer Dishes. But braai prep is a slightly different story, and we all know that a braai master is only as good as their tools (if you tune into eTV every Sunday from 3 February for the new season of The Ultimate Braai Master, you’ll see what we mean). But we are here to help you make sure your braai foundation is solid and unshakeable. First things first – you will want to find an ideal spot for your braai. As we know, when things get hot, the splatter can be quite aggressive, so make sure the area surrounding the braai won’t be affected by all that sizzle. Depending on the type of braai you use, you may also want to place a foil container underneath the braai, in case there is some epic dripping from all that tasty meat. Well, this might be number 2 on our list, but safety should be a top priority. Ideally, place the braai about 3 or 4 metres from your house in an airy, open space. Any flammable objects must be kept far, far away. If you are using a kettle braai, make sure to line the bottom with some foil – this will make the cleaning up (i.e. the worst part) that much easier. Who wants to waste time with unnecessary scrubbing? Before you put your grill over the hot coals or wood to start cooking your feast, place it over the open flames for about ten minutes and (carefully) wipe it down with a brush. Then take a cloth or paper towel, dip it in some cooking oil and safely swab over the grill. Do note: don’t use too much fat. After the fun parts (cooking and feasting) are over, you must focus on cleaning out all of the ash. You have to do this as soon as possible because if you leave it for too long, it can form a clay-like substance that is very difficult to clean. This substance also retains moisture, which means your beloved braai could rust as well. 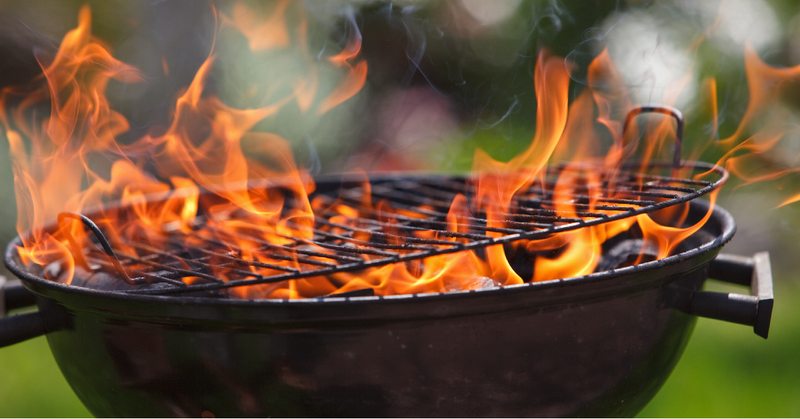 To keep your braai in tip-top shape, you’ll want to clean the exterior about once or twice a month. Just wipe it down with a non-abrasive cloth and some mild cleaning detergent. However, the inside, apart from the ash mentioned in number 5, you can keep a little grimy. Many braai experts maintain that the black layer that forms around the inside after you’ve cooked up a storm serves as a protective coating of sorts. You will want to store your braai where it isn’t exposed to harsh sunlight or rain. Excessive sunlight can cause damage and discolouration, and rain, of course, will result in rust. And there it is: 7 simple steps to help you prepare and clean your braai like the budding braai master you are.